At the recent Cache-Cache in Amsterdam, I had a wonderful little experience that I though I thought I’d let you know about. 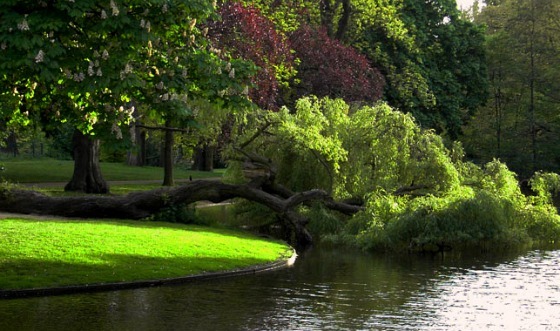 We started the morning with a walk in Vondel Park. Everyone received a paper with three random assignments…things like ‘search for a metaphor for the Incarnation’ or (my favorite) ‘touch something that touches you’. Well, I had done a good job with my questions…had written down several thoughts to share with the group at lunch, when, walking back to the meeting point, I spotted something in the dirt. I thought it was a powerful metaphor for something, but it didn’t fit into my questions. I passed it up. As I walked a bit further, something compelled me to back up and pick it up anyway. I did. While waiting on the group to assemble, my mind was racing to think through the implications of the little metaphor in my pocket. I jotted down a few notes, even though I didn’t think I would share it with anyone. A few minutes later at lunch near the Central Station, we divided up on the two ends of our long table to share what the park experience meant to each of us. Eventually, the young Dutch woman next to me shared that she had no problem with the first question but the that she found the second one quite troubling. It was something like “Find a metaphor for what you want to do with the rest of your life”, the very question that she struggles with daily. So she related that instead of creating a nice meditative time in the park, it sent her anxiety in to hyper-drive and couldn’t at all respond to the question. It was at that point that I told her that I had found her metaphor. She understandably looked at me with a question mark on her face. The interesting thing was that I found a metaphor that I didn’t need and she had a question without a metaphor. So I reached into my pocket and pulled out the key that i found in the dirt a few minutes earlier. A key is a really strong metaphor. Jonathan Safran Foer wrote a great novel about a boy who searches for the purpose of his key. (You may have seen the movie Incredibly Loud and Extremely Close). The first thing I thought of with the key was it’s purpose or function. It is suppose to unlock something. But then I thought how there is inherently a partnership involved with a key…it belongs to something and something belongs to it. A key is also rather unique. It may look like other keys but the system of jagged edges make it uniquely suited for one lock (or a least we hope). 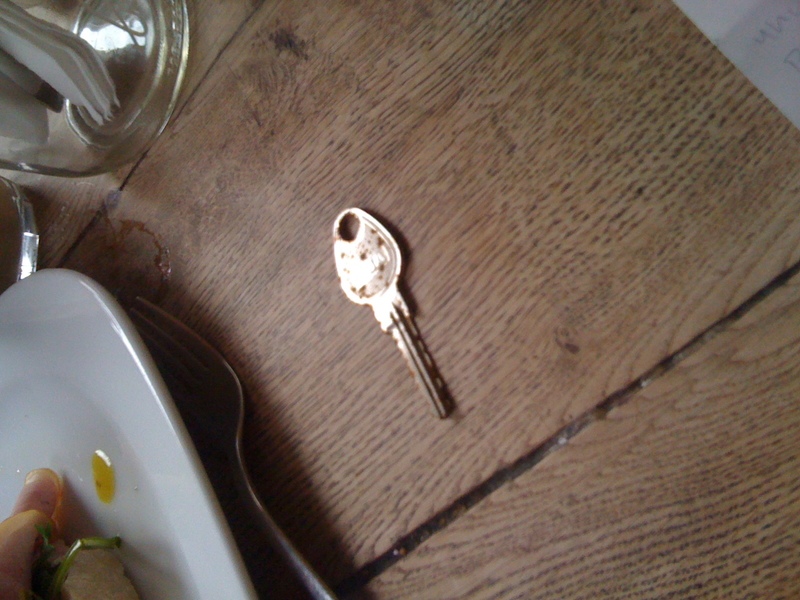 I thought further about the key…that it could potentially liberate something….or protect something. And at that moment, my new friend said, “or it could lead you to home”. I laid the key on the table and said it is yours. Not only is the key a strong metaphor but this story is a strong metaphor for the way God works in community. Quite often when you have a need, he doesn’t just give you the answer to your need, he may give it to someone else, who is suppose to give it to you, and thereby creating a strong triad of relationship…or trinity, one could say. So the thought has passed my mind…what else have I been given that I need to pass on to someone else?